When it comes to bathrooms one thing is sure , we vastly underestimate how much work goes into them. For example, when thinking of a bedroom, starting from scratch, the flooring will most probably be the same as the rest of house while the walls need only to be painted usually ( unless there is a specific construction), while lighting can change at any given point. 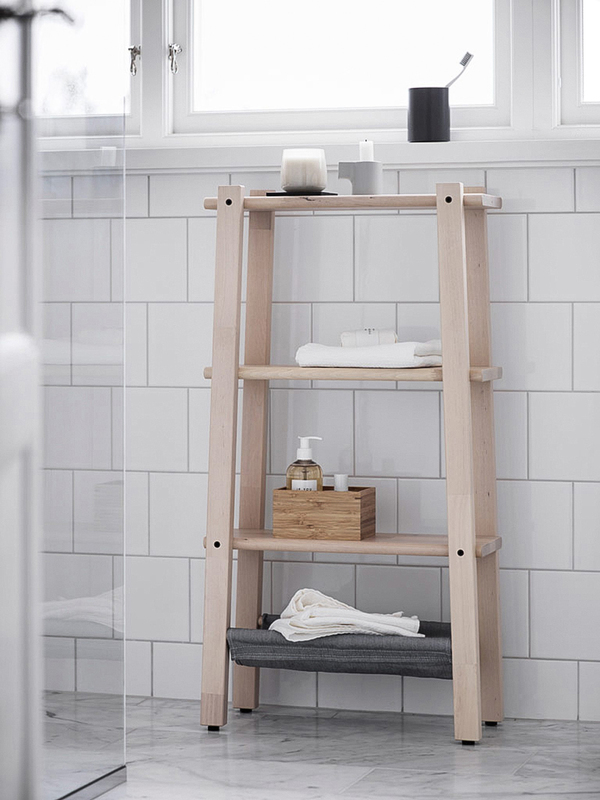 Whereas when it comes to bathroom design, consider the amount of decisions that need to be made and all need to be permanent, from where the plumbing will be, the materials for both the floor/walls/ possibly walls for the shower, storage solutions, in build laundry probably, will the shower have glass or wall, which faucets to choose, which lighting, what kind of furnitures and colors that will be permanent and not so easily changed as a normal color on the wall. And the list goes on. 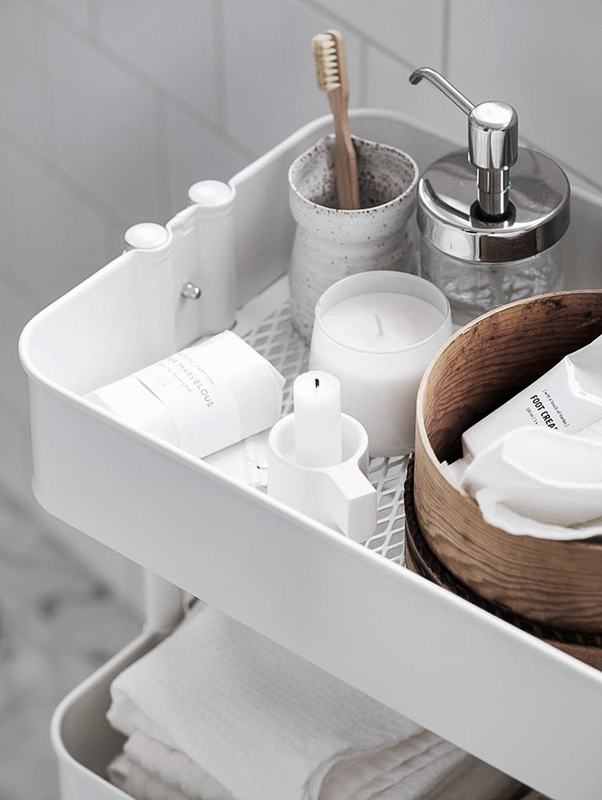 It is no wonder then that my most favorite inspiration comes in the form of bathroom inspo, whereas that is from a blog, from a designer, from pinterest and so on. 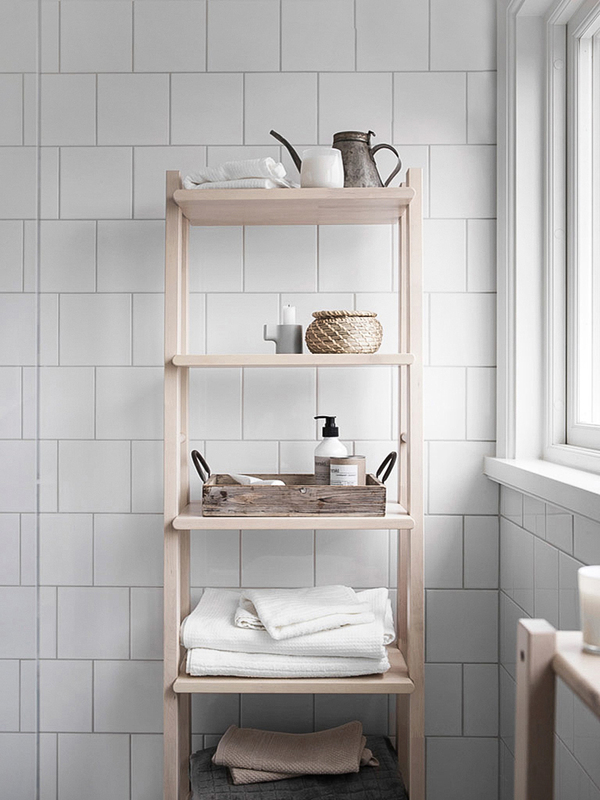 In fact my go to place is the Ikea Livet Hemma blog because the stylists ( few of my favorites in the industry), always come up with brilliant ideas for bathroom renovations. The bathroom at the cabin is in desperate need of a renovation, however it is really expensive to do a full one so I am thinking of small tweaks that will elevate it and make it feel much more friendly. 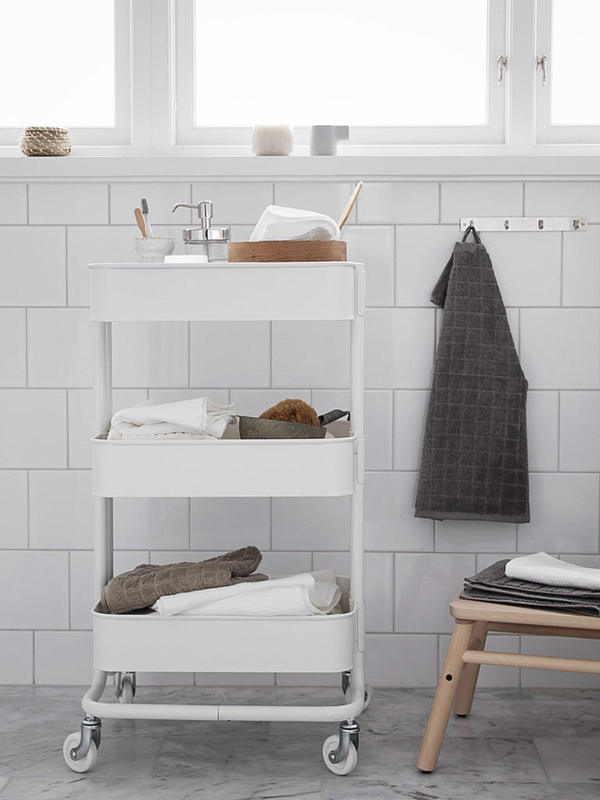 Todays photos from the Livet Hemma blog are perfect inspiration, they illustrate how some some temporary storage solutions can carry a lot of the everyday daycare weight without looking too messy or too heavy. And changing the lavatory and putting new tiles on the wall above to old ones is actually something that can be done on a good budget. Add some details and you have an almost new bathroom! Perfect!